Everyone knows that moving house is a stressful experience, but it’s not just you that feels the strain. You family, pets and even your neighbours all need to be considered with any removal. That’s why we take great pride in knowing that we take all the anxiety away from you and make sure that the whole process, from the first contact, is an enjoyable, stress-free one. As the finest Wandsworth removal company, we’re able to complete your house move with the absolute minimum of fuss. When you choose White Van Gentlemen, you know that you’re getting the highest possible quality of service at a great price. We treat your house like our own and our years of experience tells us that’s how you like it. We can carefully pack your belongings, deliver them to your new home and even unpack them into the correct room, so that it’ll feel like you’ve been living there for years. Every single member of our logistics team are highly trained and completely dedicated to making sure your move goes without a hitch. This often means doing that little bit extra, which we’re always eager to do. Why face the stress and anxiety of a house move on your own. Let us take the strain. Just call our removals quote line for a free, no obligation quote from one of our specialist Wandsworth removals teams on 0207 731 0551. Alternatively, just use our quick enquiry service, and we’ll get right back to you whenever you want. 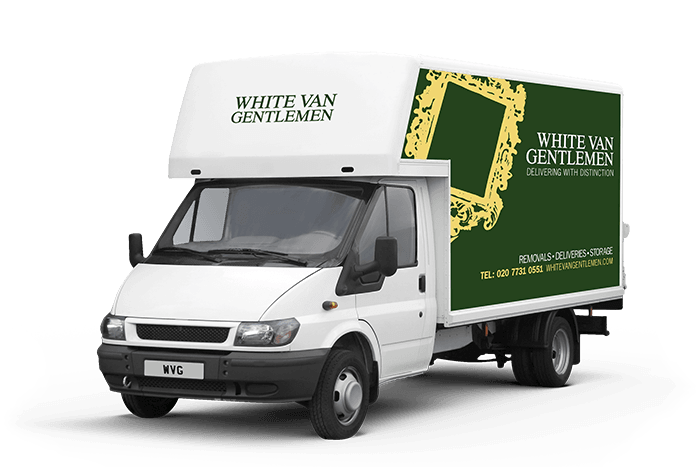 White Van Gentlemen is the premier deliveries, removals and storage company in Wandsworth. With hundreds of delighted customers in your area, we pride ourselves on offering the best service possible with a highly trained team of logistics experts ready to take on any challenge. Call us today and find out how we’re bringing old-fashioned politeness and courtesy back into the industry.